Featuring Bella. (I’m waiting for Bonjour Mon Ami to come in.) Here is a detail shot. To see more join me on Instagram! 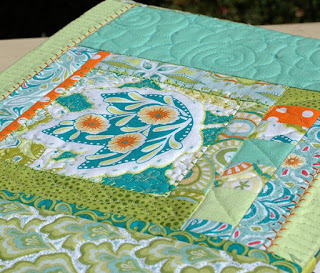 Previous post: Charlotte Quilters Guild Class Sneak Peek! Love the spiral flower quilting and decorative stitches on this one. Happy Easter!